The first thing to confront you when you come here is the sheer scale of the buildings. 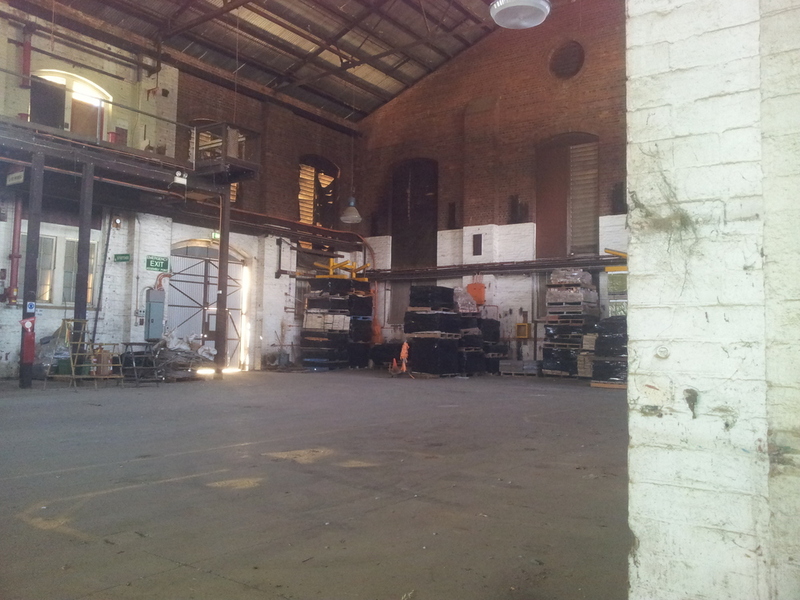 This was big industry in 19th and 20th century WA, and this place had an equally large impact on a lot of lives. But in business there’s no room for romance, and although some of these buildings have been transformed into modern apartments, offices and even a police operations centre, for the most part they’ve been cast aside as relics of their age. Some have been left untouched with the equipment and machinery lying idle as well as long forgotten mementos of those who once worked these buildings, others are used as storage space. We size up a 4 story warehouse and come across a movable window. Upon entry, with a single phone’s flashlight app to guide us, we can smell the scent of disuse and age. A loud bang emanates from the centre of the room “hello, is any one in here?” there’s no reply and no sight of anything or anyone. Spooky. From 30 kg wrenches to 1960’s tagged replacement parts there’s plenty to see in here. The workshop seems to have remained untouched since the day it was closed and there have been no attempts to take anything of value and luckily vandals haven’t caused any damage. We find a staircase that leads to a barred up entrance to an underground tunnel. We can’t see how deep the tunnel goes or what its purpose is for and with no key we can’t find any answers. Next we go up some stairs to what appears to have been a watch area that leads in turn to a series of ladders leading up to locker areas for the workers. It’s an experience here. In a state without too much obvious history-especially in buildings-it’s interesting to imagine the men’s-men that would once work here. Toiling a hard day’s work for a fair wage (probably a bit dumb, but isn’t the imagination a fun thing). That’s a big part of the fun here; coming to these places gives you a sense of a life you probably wouldn’t otherwise consider. Please like the article, our Facebook page, and share!